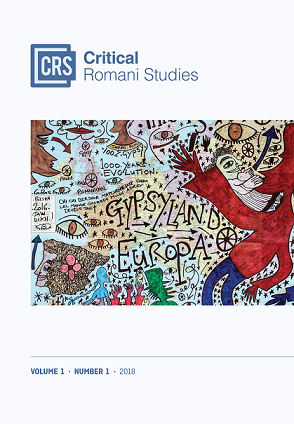 Contemporary scholarship in the fields of Romani Studies and antigypsyism (i.e., anti-Gypsyism or antiziganism), increasingly recognizes the centrality of location or “standpoint” in the discourse around representation and legitimacy. Deriving from a conceptual understanding of antigypsyism, this paper analyzes Gypsylorism, in the sense of constructions of “the exotic Other within Europe” (Lee, 2000). The trajectory of knowledge production from the early days of ”Gypsyology” to (critical) Romani Studies is analyzed: first, by means of a historiographical analysis of Nordic literature, which establishes the analytical dichotomy between subalternity and Gypsylorism, and second, by a scrutiny of recent academic debates in the field. The paper argues that the emergence of authors from the Romani standpoint in fictional and academic literature has contributed to a change as well as provoked counter-reactions. The paper illuminates debates and trajectories by discussing the failed attempts to make the Gypsy Lore Society (GLS) claim historical responsibility for its Gypsylorism/Orientalism at its Istanbul conference in 2012 and the compromise resolution of GLS in Stockholm in 2016, which avoided an apology and maintained the unresolved antagonism. Authors retain copyright and grant the journal right of first publication. The work is licensed under a Creative Commons Attribution-NonCommercial License that allows others to share the work with an acknowledgement of the work's authorship and initial publication in this journal.